In the early 1980s I was asked to review Marjorie Perloff’s The Poetics of Indeterminacy (Princeton, 1981) for Parnassus: Poetry in Review. I had not yet met Perloff, though I knew her Frank O’Hara book and had seen her in action as the only female panelist at an intensely intimate NEH sponsored conference at the Folger Library in Washington, DC. It was 1979 and my memory of the event, “After the Flood: Directions in Contemporary Poetry,” is one of jousting egos and strategic accord among the other five: Harold Bloom, Donald Davie, John Hollander, Richard Howard, and Stanley Plumly. A contentious affair, it was surprising to later read an account that called it a scene of critical unanimity. Perhaps that would have been more or less true had Marjorie Perloff not been there. She, in fact, took on the old boys — present and spectral — in her insistence that there was more of interest in the varied field of contemporary poetry than they were considering, or that was apparent in “mainstream” poetry venues. She lambasted, with detailed descriptive analysis, the empty predictability of the workshop-honed, weakly Symbolist poem — arguing for the importance of the kind of complexity and indeterminacy she would foreground and defend in her landmark volume two years later. The old boys (impossible to see the smugness, irascibility, and condescension they variously exhibited any other way) were hard on her — at times, scornful. Perloff, who happened to be on the right side of a history she would increasingly help to illuminate, did not back off in the least. Amusingly, she and Bloom did agree on the importance of the fresh, contentious work of John Ashbery, but for quite different reasons. What we loosely call “Modernism” in Anglo-American poetry is really made up of two separate though often interwoven strands: the Symbolist mode that Lowell inherited from Eliot and Baudelaire and, beyond them, from the great Romantic poets, and the “anti-Symbolist” mode of indeterminacy or “undecidability,” of literalness and free play, whose first real exemplar was the Rimbaud of the Illuminations. While some of the ideas that went into this study were crystallizing, I accepted an assignment to write a book on the poetry of Frank O’Hara. This particular project, completed in 1977, reenforced my conviction that we cannot really come to terms with the major poetic experiments occurring in our own time without some understanding of what we might call “the French connection” — the line that goes from Rimbaud to Stein, Pound, and Williams by way of Cubist, Dada, and early Surrealist art, a line that also includes the great French/English verbal compositions of Beckett. It is this “other tradition” (I take the phrase from the title of a poem by John Ashbery) in twentieth-century poetry that is the subject of my book. The book proceeds to give lively accounts of the anti- and non-Symbolist poetics of all of the above as well as, in the final chapter, John Cage and David Antin, even providing a refreshing view of The Waste Land — while contrasting its Symbolist preoccupations with Ashbery’s “Lacustrine” indeterminacy — as too complexly composed to merit reductive one-to-one parsing of references and images. This observation, early in the book, importantly signals the absence of any bid for a new orthodoxy. The rising understanding of indeterminacy (including its everyday significance in our lives: see complexity/chaos theory) could be taken as just replacement for the oppressive Symbolist hegemony that refused to grant its significance, but Perloff — with all her fervor for the new — began as a Yeats scholar. She’s not out to vanquish tradition but to show its multiplicity. In The Poetics of Indeterminacy Perloff'’s animated scholarly erudition and love of the literature she has championed takes her far beyond polemics. Her 1986 The Futurist Moment is another historically brilliant case in point. 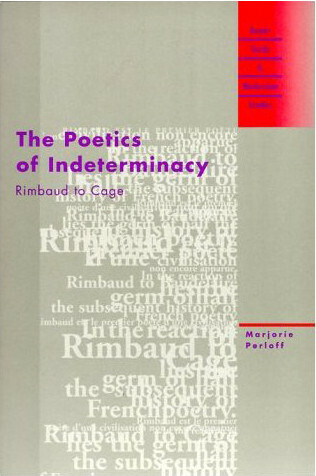 Perloff’s many titles subsequent to the still essential Poetics of Indeterminacy represent a widening investigation of its central claims, most recently attending to other emerging poetics. What I’ve found in my decades of teaching since first reading this book is that the conviction that there is an entity called “poem” with a discrete essence one should be able to discern and evaluate according to universal aesthetic principles continues to be widespread. Most students enter college with it. What’s needed is thoughtfully inventive pedagogy. With that, The Poetics of Indeterminacy remains the best introduction I know to the roots of Euro-Anglo (and vice versa) Modernism, Postmodernism, and the yet unclassified happening before our eyes in only partial visibility. Marjorie Perloff, The Poetics of Indeterminacy (Princeton: Princeton University Press, 1981), vii. 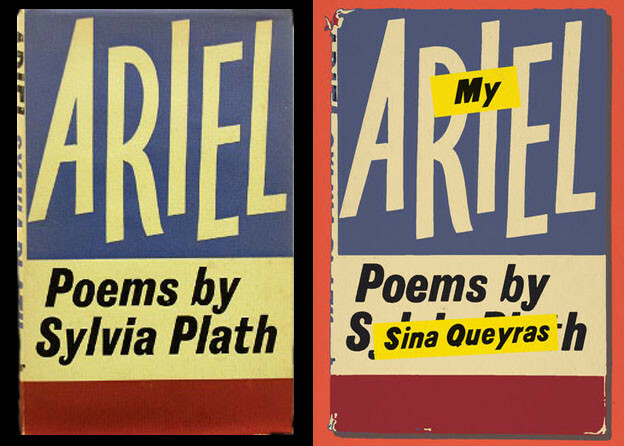 What is Experimental Poetry & Why Do We Need It?